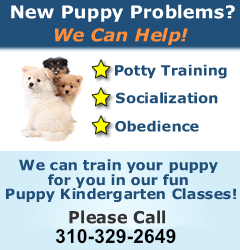 Meet our dog trainer, Jaycee, training the puppies to sit and stay. Congratulation Apollo for keeping a perfect attendance and focused on your puppy training. Apollo is a 4 months old puppy. He learned sit, stay and come. He’s also potty trained on a pee pad as requested. We are so glad that we are able to train Apollo.